Now, if there’s water anywhere of the vicinity of your family’s vacation such as a lake, ocean, river, stream, or even a large pool you’re in luck. There are so many ways to ensure you have a good time on the water. Not only are bodies of water magnets for people, but there are so many water activities that you might not even know of. There’s the obvious, swimming, tubing, boating, even surfing. 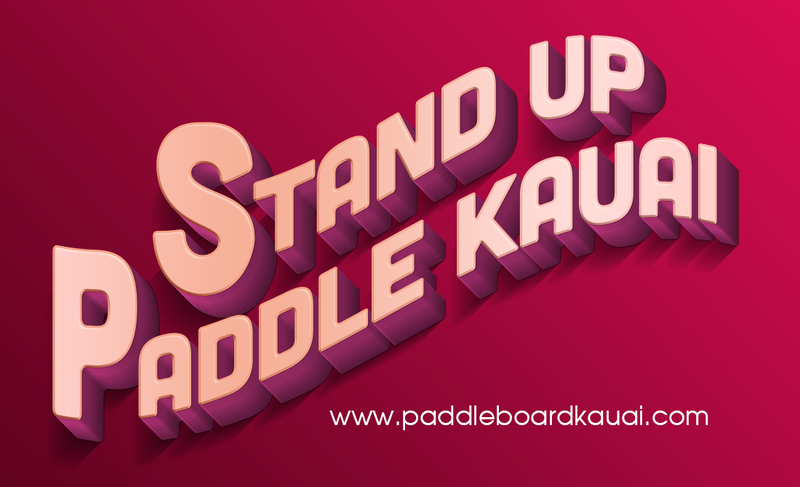 What you might not know though, is that there’s this great new aquatic activity that involves Stand Up Paddle Kauai Boards. It is much like surfing, but it’s easier and offers a more relaxed experience to have fun and enjoy yourself. Another great thing about this activity is that it can be done with the whole family, if you choose to include them. It can be done anywhere there’s water, and you don’t necessarily need gnarly waves or the changing of the tides to have fun. While leaving your friends for a couple weeks over the summer can be a major bummer, think of all the cute friends you might meet while enjoying your new aquatic freedom on a surfboard, with or without paddles. Give your vacation a chance, who knows, maybe you’ll even have a good time! Water, wind, and sky have delivered another epic Summer. Reports of epic Summer surf worldwide have graced the forums and SUP message boards. I don’t think I’m alone when I say this has been the best stand up paddle summer yet! Remember to make time to reflect. Kauai skies give way to fiery reds and oranges streaking the horizon as the sun rises behind the clouds while the mosaic of deep greens and cool yellows on the hills breath life into the air. A family of manta rays and a school of ‘ininui’ play in the crystal clear waters of the morning. The first wave of the morning gently breaks in perfect form, unridden, but now ready to play. Perched on the swells, refining technique, and taking them all the way in…over and over again. Others arrive in silence awestruck by the beauty of the morning. As the tide changes and the surf rises, it’s good times all morning, one wave after another. The warm colors of the sunrise melt away into blue skies and white clouds. As you Stand Up Paddle Kauai back to the shore in reverence, the next shift is pulling up and paddling out. The smile on your face tells the story of the sunrise, and a humble ‘good morning’ wishes them good times on another epic summer day. A growing sector of Stand Up Paddle Kauai boarding is the use of paddle boards to run rivers and rapids. Of course there are many classes of rapids that one could choose to run. Just as in surfing you will want a board that is just big enough to be stable without being to long. Many choose a board with a 3 fin thruster configuration commonly used for surfing which allows them to use 3 small fins instead of one large fin giving them more clearance over shallow rocky river sections. Also common today are inflatable SUP boards that are practically impervious to rocks. These feature softer fins that are less likely to seriously catch on a rock or causing damage to the board. Another benefit of inflatable boards are their portability once deflated. Another variation on River paddling is standing wave surfing. Certain river rapids have standing waves caused by the fast moving water running over the rocky bottom contour of the river. If you can paddle into this standing wave you have a theoretically endless wave until you fall or are physically exhausted. Check Here for getting more information related to Kauai SUP Rental .